Growing up the child of a single parent, we struggled to make ends meet. I remember serving a detention in the lunchroom of my high school and passing out from hunger in front of my horrified classmates. The lunch ladies were kind enough to feed me some leftovers to get me back on my feet, but I will carry the shame and humiliation of that moment with me forever. There’s a tremendous amount of science supporting the connection between good nutrition and a child’s ability to reach their top learning potential. A balanced diet of healthy fats, proteins, carbohydrates, vitamins and minerals enhances memory and behavior. Kids who are hungry simply don’t learn as well. This is unfortunate because we live in an era of increasing economic inequality and for Americans situated at the bottom, finding the cash to afford school lunch can prove difficult. And while there are some states that offer financial aid to low income families, in many cases, it’s not enough. Generally speaking, schools allow children to purchase lunch — even when their accounts are empty — with the understanding that their parents will pay later. But the steps some schools take to remind parents are more than a little cruel. When a child’s balance dips below a certain point, kids receive an “alternate meal” of a cold cheese sandwich or nothing at all. At Desert Cove Elementary in Phoenix, Arizona, kids had their arms stamped with “Lunch Money” when they couldn’t pay. Other schools issue wristbands, or require children to perform work around the school to pay off their debts. In Santa Fe, a teaching assistant named Kevin Holt remembers seeing a cafeteria worker tell a 4-year-old, “You have no money,” before taking her meal away and throwing it in the trash. The idea that a school would choose to dispose of food rather than feed it to a hungry child is outrageous. And it’s more common than you might think. 76% of America’s school districts house kids with school lunch debt and that number continues to grow. Poverty is endemic in this country and with the new administration slashing budgets left and right, the safety net that keeps kids fed is fraying. 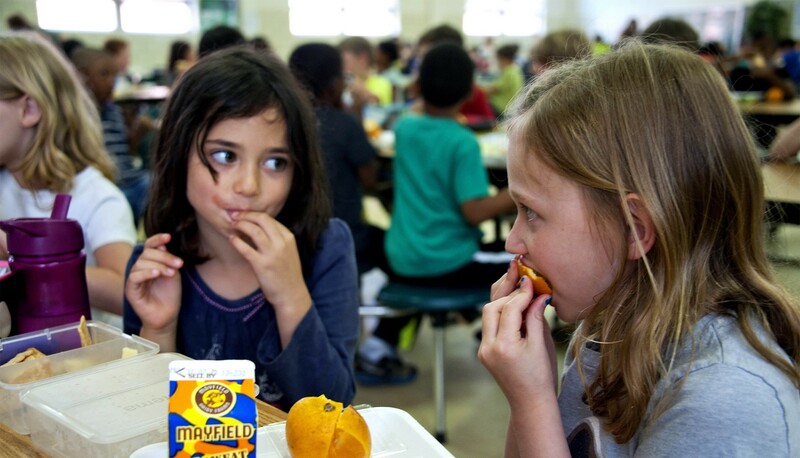 Let’s be frank: the optics surrounding school lunch shaming are astonishingly bad. Humiliating kids because they’re too poor to eat is never a good look. But what’s the solution? It costs money to make these lunches, and schools are already strapped for cash. One district reported a budget shortfall of $4.7 million from lunch debt. That’s money that could be used to pay teachers and buy textbooks. President Trump’s proposed 2018 budget calls for a $9.2 billion cut to the Department of Education and includes proposals that would drain money from poorer schools where fewer students can afford lunch. Whether these cuts will come to pass is anybody’s guess — it’s historically tough for administrations to slash school funding. But as a worst-case scenario, it’s chilling. If there’s one thing we can count on in this world, however, it’s that good people will stand up to injustice. When confronted with instances of school lunch shaming, private citizens all over the country are stepping up. A Seattle man named Jeffrey Lew paid off the $97.16 lunch debt at his son’s school and was inspired to crowdfund the debt for the entire Seattle public school district. He raised more than double the $20,000 he needed, enabling him to spread the wealth to other schools in need. In Sherman, Texas, roofing company owner Jason Schilli donated $8,500 to zero out the town’s school lunch debt after learning that students with unpaid balances would be forbidden from attending field trips or walking onstage at graduation. This is a stopgap measure, of course. 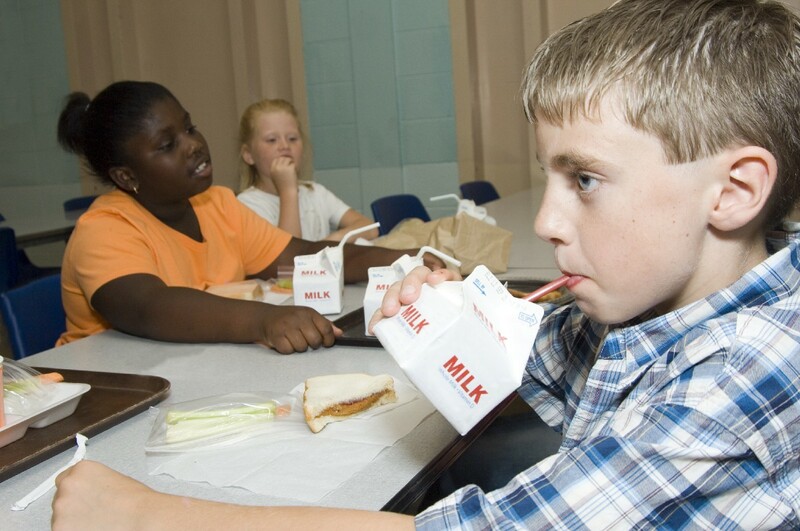 Just because school lunch debts are paid off now doesn’t mean they’ll remain that way. As the school year continues, kids will show up without lunch money, and they won’t always be able to rely on the kindness of strangers to bail them out. These donations are worth noting, however, not just because they help kids, but because they raise an important question — how long can Americans continue to rely on the charity of individuals to make up for government shortcomings? Signs indicate we’re moving in the right direction. New Mexico passed the Hunger-Free Students’ Bill Of Rights, mandating that every student be served a meal, regardless of their ability to pay, and forbidding schools from throwing out lunches in front of poor kids. Other states are expected to follow suit. At a federal level, the Anti-Lunch Shaming Act of 2017 is a bipartisan measure that aims to protect students with lunch debt from identification or public stigmatization. Those are great steps, but they don’t address the essential problem: hunger still exists in America, and the ones who suffer the most from it are children. There is no future for this country without children, and we only have thirteen years of government-mandated education to shape them into the best adults they can possibly be. School meal programs are a tiny fraction of the Federal budget, and it’s shameful that people like you and me have to step in when our taxes aren’t doing enough. Sure, these people working to erase lunch debts are heroes, but they shouldn’t have to be. We should live in a society that’s devoted enough to justice that it wouldn’t dream of letting a kid go hungry, much less shame them for it.